"Waking up to a parent's nightmare"
Asghar Farhadi may not be a household name to many outside of his home country of Iran, but he has proven to be a fascinating talent within the film industry. For those who follow the awards trends over the years, this director has won two Academy Awards for Best Foreign Language Film for A Separation (2012) and The Salesman (2107). The significant historical impact of his first award was that he was the first Iranian director to win the Oscar. Over the years, Farhadi has become a sought after talent and actors are scrambling to work with him. For the director to move from utilising relatively unknown talent to Academy Award winners as his leads prove to be the Iranian director’s move into the position of a power broker in the industry. Everybody Knows (Todos lo Saben) is a Spanish psychological thriller that focusses on the events that occur in amongst a village wedding. Laura (Penélope Cruz) has travelled back from Buenos Aires to her hometown with her young son and teenaged daughter, Irene (Carla Campra). The celebration of seeing her family and friends during her sister’s wedding contains all of the wonders, tensions and magic that would be expected. 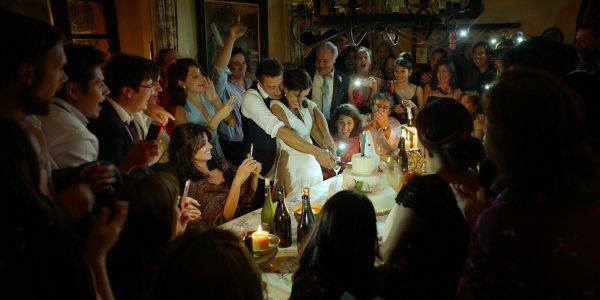 As the emotions and euphoric aspects of the church ceremony, dancing, food and alcohol set in, the electricity goes out across the tight-knit community. The party continues despite this inconvenience, but amongst the candles and cutting of the wedding cake, a horrific discovery is made, Irene disappears. As Laura searches for her daughter, she begins to get messages from someone who has kidnapped the young woman and they are demanding a ransom. As the family and the community try to determine what to do with this information, secrets from the past begin to erode the possibilities of saving Irene. A family friend and leader within the community of wine producers tries to do all he can to help with the search. Paco (Javier Bardem) and the other family members work to uncover clues to this mystery before the captors follow through on threats to harm Laura’s daughter. Everything becomes a race against the clock and overcoming the pain of family history for the small community to find Irene and survive this tragic event. As the headliner for the Cannes Film Festival, the reputation of this director and the star-studded cast have helped this film to gain worldwide attention. 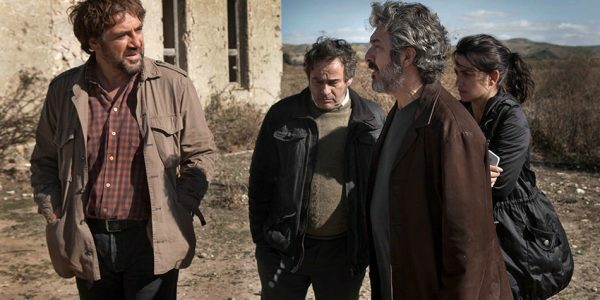 The biggest challenge for Asghar Farhadi will be to see if audiences outside of the Spanish speaking parts of the world can embrace his film. It is not merely the language barrier that will prove to be a hurdle for audiences, the award-winning director’s style of storytelling may prove to be an acquired taste. The underlying premise of the kidnapping journey has a familiarity to it that will draw people into this cultural mix of family, friends and community. A story that is complemented with a strong cast who immerse themselves into their roles and make each element of the story believable and accessible. The difficulty for audiences may come in the director’s preferences for unconventional editing and the lack of resolution for many of the on-screen narratives. Timelines are not always clear and characters can jump from various locations without much explanation, which is a technique that complements the genre, but may prove to be somewhat disorienting. Everybody Knows proves to be an artistic journey that exudes Farhadi’s philosophy of leaving people with more questions than answers. The mix of culture, mystery and filming technique will sit well with those who love to engage with the artistry of cinema more than those who are seeking a satisfactory resolution to a story.